OwnCloud offers you the ability to run a cloud storage service that you administer and control yourself. 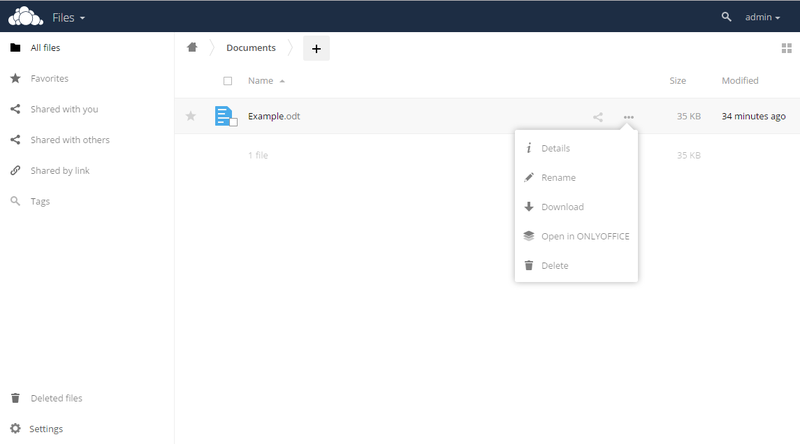 From now on you can edit and collaborate on text documents, spreadsheets, and presentations stored on your OwnCloud storage using the full-featured online editors from ONLYOFFICE. OwnCloud version 9.0.3 or later. To install it, follow the instructions here. 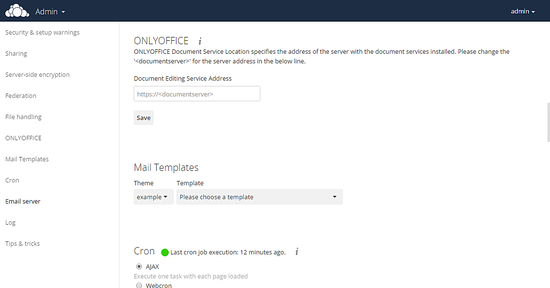 ONLYOFFICE Document Server version 3.0 or later. This tutorial will help you install it. You can download it from the ownCloud app collection. 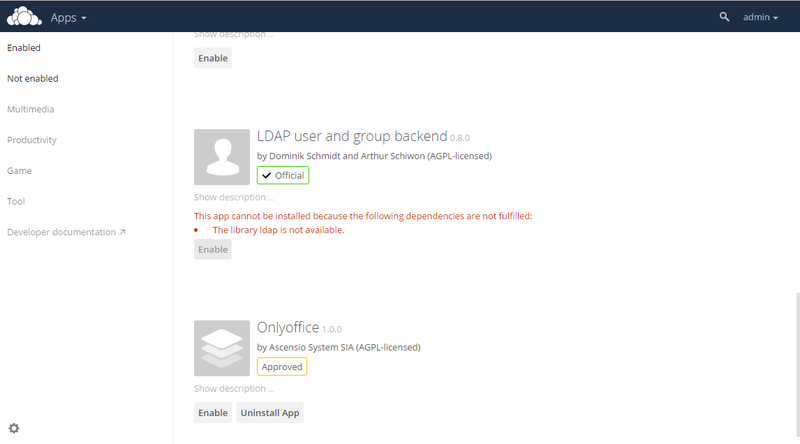 Go to OwnCloud, open the page with Not enabled apps and click Enable for the ONLYOFFICE application. To edit your document, just select the Open in ONLYOFFICE option from the menu for the corresponding document. 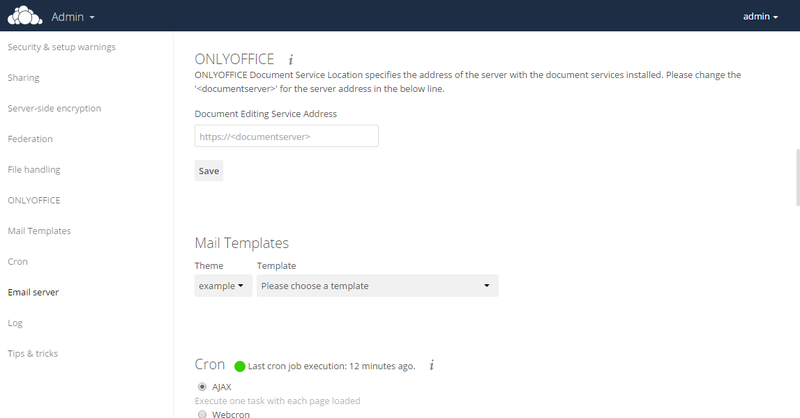 To run ONLYOFFICE Document Server using secure connection (HTTPS), use the Docker image. To learn how it works, read the ONLYOFFICE API documentation. For source code, visit GitHub. I moved from owncloud to nextcloud because of the persisting update problems of owncloud. Does this tutorial also work on Nextcloud? 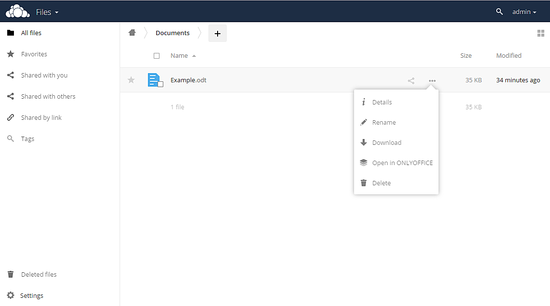 The ONLYOFFICE plugin works with ownCloud only at the moment. But ONLYOFFICE is working on a plugin for Nextcloud. I use a two servers configuration, plus one server for Pound (the reverse proxy, load-balancing...) which manage the https to http conversion and the certificates (only one certificate to manage). I disabled selinux, firewalld to ease the thing. But the installed php was 5.4, so I used https://www.howtoforge.com/tutorial/centos-lamp-server-apache-mysql-php/ (only the php 7.1 part). Installation of the app for owncloud following https://github.com/ONLYOFFICE/onlyoffice-owncloud advice. I did not put secret password (yet?). The normal basic parameters for owncloud works. I had to route the ports 8084 and 8085 to my pound server.